You may have heard that the European Union will apply new VAT rules from the 1st of January 2015 to every company that delivers electronic services to its customers within Europe. Our company and most of our customers fall into this category as well. Below we will explain what the changes are and how we are applying The VAT to our customers. Currently, the VAT percentage is based on the country of the supplier. So right now customers in the EU are charged for Dutch VAT. However, if you are a company in the EU, there are two options during the sign-up process. Depending on your situation you can choose to enter your VAT number or not. – When you don’t enter your VAT number we are required to charge the applicable VAT. We will apply the new VAT rule to our existing customer’s accounts from the 1st of January which means that invoices generated from the 1st of January will contain the new VAT rate. If you have any questions regarding the VAT changes you can contact us by sending an email tosupport@snel.com. 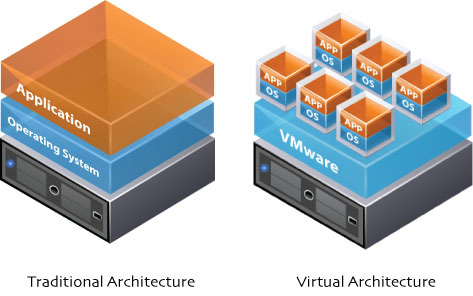 How many virtual servers can I host on a dedicated server and which dedicated server do I need? These are the most frequently asked questions from customers when they want to purchase a dedicated server to run VMs. The amount of VMs is hard to answer because it totally depends on your applications. Things that determine the amount is whether you have medium or heavy resource requirements. Depending on your applications, you may be able to fit as many as 100 virtual machines on a single dedicated server, web file and print servers are perfect examples of light applications. If you run resource hungry applications such as mail servers and data base servers, you can often run as few as two. In general it is true to say that virtualization is very resource-intensive. Hence, choosing enough RAM and the right CPU matters the most with server virtualization. When you run a VM on low RAM you may not get the performance you need and your machine can become very slow. That’s why we often recommend Hexa Core servers or even higher servers for virtualization. Another thing that you should consider is your disk’s read/write performance. Since VMs have a very fast read/write capability it is recommended to get a RAID card. This will keep your data safe when one of your disks are broken. They are all available with instant setup at no additional costs. Take a look at our server’s page for more detailed information.